The group minimum is 1 person, maximum is 11 people. For bigger groups, please contact us. Pickups are usually between 9:30-10:00 a.m., but we can adapt to your needs with a 24-hour notice. What to bring: Hat for sun protection, snack, sunglasses, sunscreen, sturdy shoes, water/drinks, wind-proof jacket. No previous experience with horse riding is required. If you are a more advanced rider, we can prepare a more challenging, personalized ride for you. Just let us know in advance. Pickup is included in this tour. But if you choose to take public transport, you can take the bus from Plaza de Castilla to the "El Boalo" bus stop, where our guide will pick you up. Please contact us for more details. Pine forests, stunning hill views, and wildlife await just 50 km from the city center. 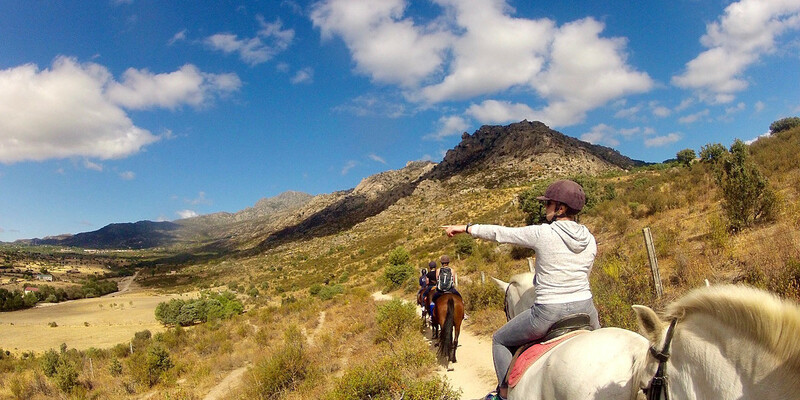 To get the most out of 150,000 acres of beautiful mountain scenery, this horse riding day trip takes you along the rocky cliffs and flowing streams of La Pedriza. 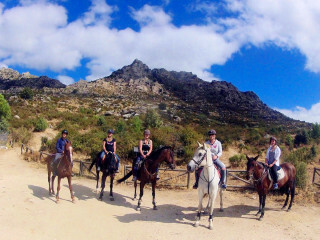 Under the instruction of experienced riders, even beginners are welcome on this adventure. After your pickup before 10:00 a.m., we are introduced to our horses. 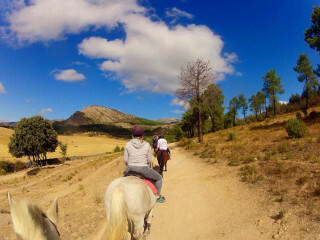 From the village of El Boalo, we ride along La Pedriza, Europe’s largest granite mountain range. The beautiful mountains of the Iberian Peninsula offer hundreds of kilometers of winding paths leading us to a variety of views. The Peñalara Peak (Pico de Peñalara) is the highest point of the mountains, standing dominant at 2,428 m (7,970 ft) above sea level. 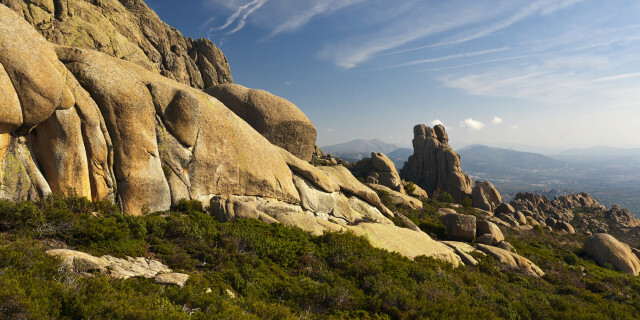 With four other nearby summits, the panoramic Peñalara Massif (Macizo de Peñalara) opens up before us. We explore the rich pinewood forests, wildflower fields, and endless pastures as we alternate between a relaxing and dynamic speed. Our horses pause for a drink from mountainous waters, like the Peñalara Massif wetlands – considered as having exceptional ecological relevance thanks to the rich biologic diversity. The lakes, ponds, and streams found here often originated in the last glacial period and are home to many unique species under threat of extinction, like the Iberian frog, the Pyrenean muskrat, and the Alpine newt. 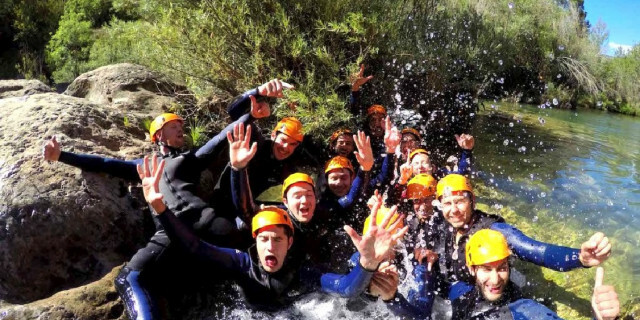 We take photos of your experience to make sure you have wonderful memories to take with you. With two full hours of riding time, you see much more than you could cover in this time on your own feet, and feel you’ve been a true part of nature after we return you to your hotel.